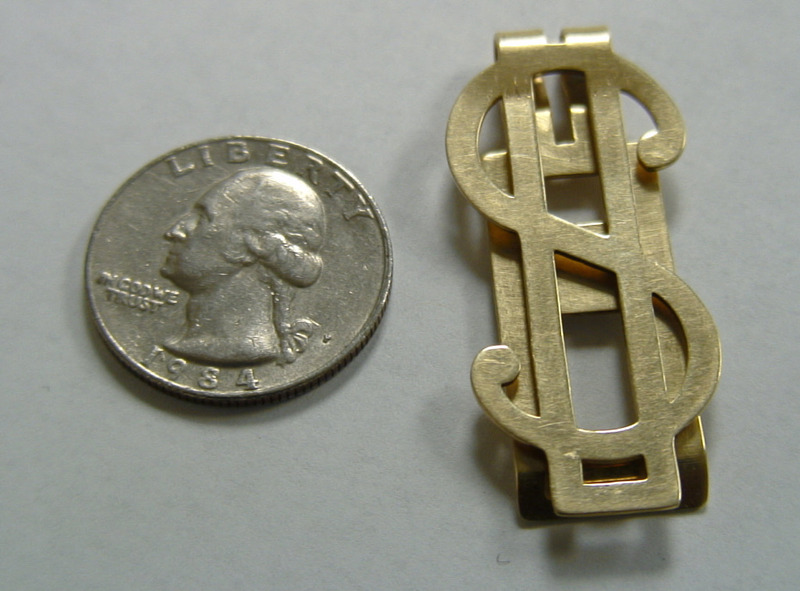 You are looking at a vintage 14K gold money clip with a dollar symbol design. 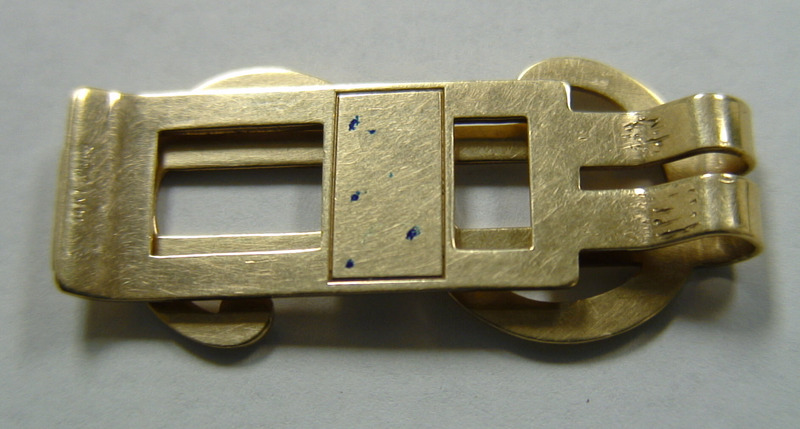 The gold clip is in great condition, most likely it is from the early 1980’s . The item for sale is exactly what you see in the pictures. It has a nice, very bold dollar sign as its main feature. Presently there a few scratches from use. 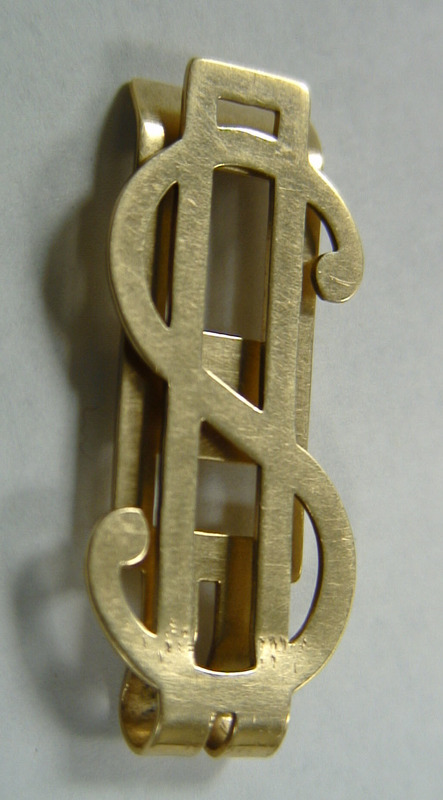 Gold is a soft metal. Look well please. I think all shows very well on the images. Most of the wear marks should come out on a good buff, which will be done after the sale, but already included in the price. 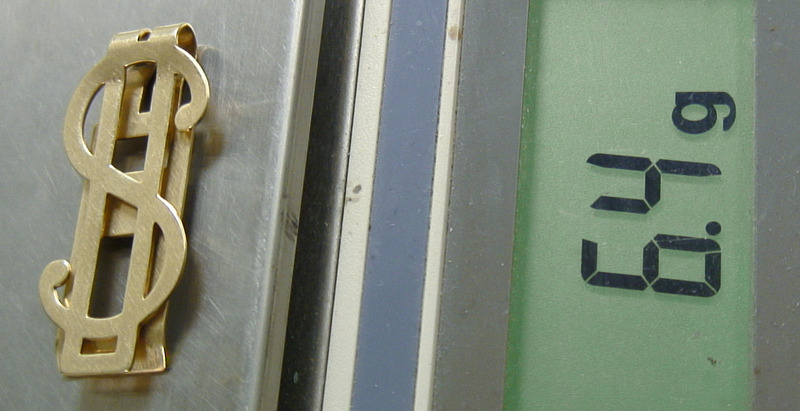 There is enough space for small print engraving. I can get the item engraved or connect you with an expert at this.